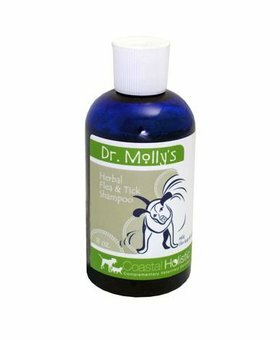 Dr. Molly's™ Herbal Flea Shampoo™ is designed to help repel fleas and other insects, as well as keep skin healthy and smelling good. It is a blend of natural shampoo, an infusion of green tea and several herbs, aloe vera, essential oils, coconut and neem oils, and pyrethrin in the strong version. 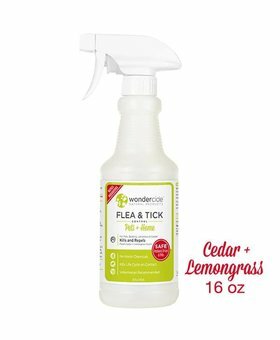 When used frequently and in conjunction with other natural methods of flea control, many pet owners are able to avoid use of other chemicals. 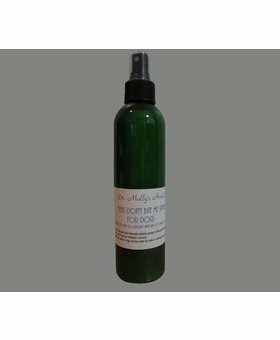 Ingredients: Natural shampoo, Aloe, Green Tea, Chamomile, Calendula, Vitamin E, Lemongrass, Cedar, Lavender, Rosemary, Neem, Tea Tree, Pyrethrin.